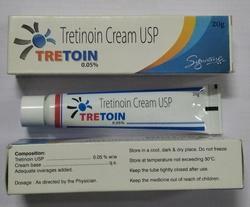 We are Leading Exporter & Dropshipper of Branded SkinCare Products. A Ret 0.1% Gel is a naturally occurring derivative of vitamin A and is used for the treatment of acne and reduce wrinkles of the face. It is also used to treat a type of cancer where the blood cells fail to mature. 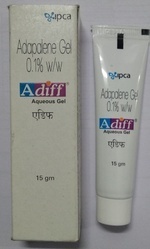 Adiff Aqs 0.1 % Gel is used in the treatment of acne. It helps in the faster healing of the formed pimples and also decreases the number and severity of acne pimples. Cosmelite Cream is used to reduce the color of skin and remove any dark spots like age spots, freckles, and other skin discoloration associated with skin trauma, pregnancy, birth control pills, eczema or hormone replacement therapy. Cosmelite Cream acts as a skin-bleaching agent and works by inhibiting an enzyme reaction in the applied skin cells. 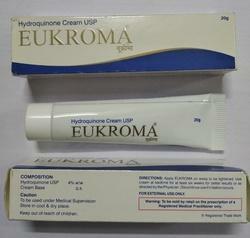 Eukroma 4 % Cream is an effective topical medicine used to treat dark colored patches, freckles, and spots on the skin that appear due to sun exposure, hormonal changes, aging etc. 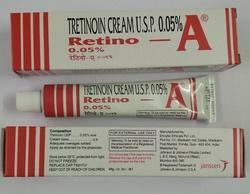 Retino A 0.05% Ointment is a naturally occurring derivative of vitamin A and is used for the treatment of acne and reduce wrinkles of the face. It is also used to treat a type of cancer where the blood cells fail to mature. A Ret 0.025% Gel is a naturally occurring derivative of vitamin A and is used for the treatment of acne and reduce wrinkles of the face. It is also used to treat a type of cancer where the blood cells fail to mature. 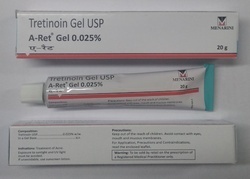 Retin A (tretinoin) Tretinoin, also known as all-trans retinoic acid, is a medication used for the treatment of acne and acute promyelocytic leukemia. For acne, it is applied to the skin as a cream or ointment. 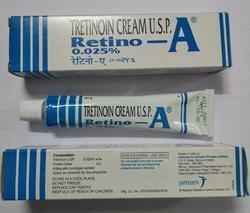 Retino A 0.025% Ointment is a naturally occurring derivative of vitamin A and is used for the treatment of acne and reduce wrinkles of the face. It is also used to treat a type of cancer where the blood cells fail to mature. 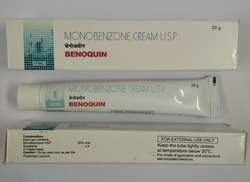 Benoquin Cream 20% is applied topically to permanently depigment normal skin surrounding vitiliginous lesions in patients with disseminated (greater than 50 percent of body surface area) idiopathic vitiligo. 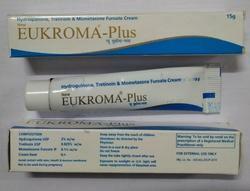 Eukroma Plus Cream is used to reduce the color of skin and remove any dark spots like age spots, freckles, and other skin discoloration associated with skin trauma, pregnancy, birth control pills, eczema or hormone replacement therapy. 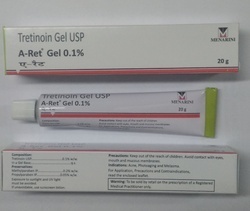 A Ret 0.05% Gel is a naturally occurring derivative of vitamin A and is used for the treatment of acne and reduce wrinkles of the face. It is also used to treat a type of cancer where the blood cells fail to mature. 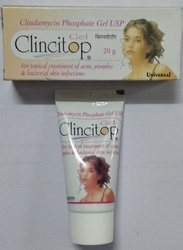 Clincitop Gel is a bacteriostatic antibiotic which is used to treat a variety of infections caused by the bacteria in the lungs, skin, and blood. 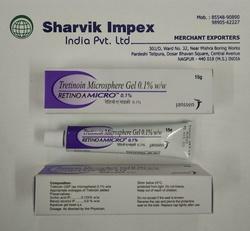 It is used with caution in the patients with gastrointestinal disease due to the risk of diarrhea. 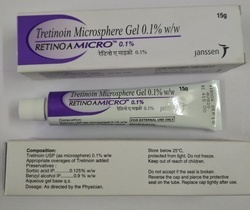 Retino-A Micro (tretinoin gel) microsphere, 0.1%, and 0.04% are indicated for topical application in the treatment of acne vulgaris. The safety and efficacy of the use of this product in the treatment of other disorders have not been established. Permite Skin Cream is a medicine that is used for the treatment of Head Lice, Scabies and other conditions.Permite Skin Cream contains Permethrin as an active ingredient.Permite Skin Cream works by killing the scabies mite. 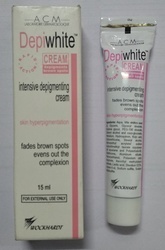 Depiwhite Cream is used for Brown spots on the skin, Brown spots on the skin, Melasma, Wrinkles, and lines, Lightens light brown color patches on the skin, Rough skin, Age spots, Mild to severe forms of dry, Scaly skin, Dry skin, Hypomelanotic skin pigmentation disorders, and other conditions. 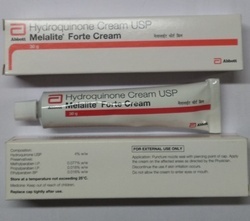 Melalite Forte Cream is an effective topical medicine used to treat dark colored patches, freckles, and spots on the skin that appear due to sun exposure, hormonal changes, aging etc. A Ret-HC Cream is a combination medicine used for the treatment of patients with skin hyperpigmentation. 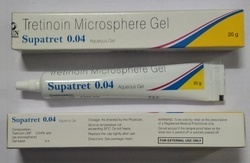 Supatret 0.04 Gel (tretinoin) is a form of vitamin A that helps the skin renew itself—it is used to treat acne as well as reduce the appearance of fine lines and wrinkles, skin discoloration and to increase skin smoothness. 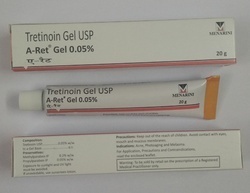 Tretinoin is the treatment of choice for comedonal acne, or whiteheads and blackheads. 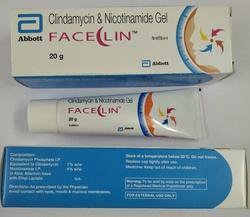 Faceclin Gel contains Clindamycin Topical and Nicotinamide Topical as active ingredients. Faceclin Gel works by reducing the pustule and papule counts in acne; improving the skin structure; soothing the skin; inhibiting the light-induced carcinogenesis; possessing anti-inflammatory action in the treatment of acne. Melacare Cream is used for Acne, Acne vulgaris, Melasma, Lightens light brown color patches on the skin, Dermatitis of the scalp, Age spots and other conditions. 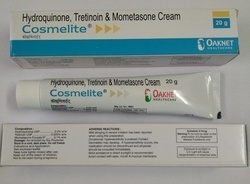 Melacare Cream may also be used for purposes not listed in this medication guide. 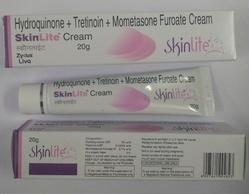 Skinlite Cream is used to reduce the colour of skin and remove any dark spots like age spots, freckles, and other skin discoloration associated with skin trauma, pregnancy, birth control pills, eczema or hormone replacement therapy. 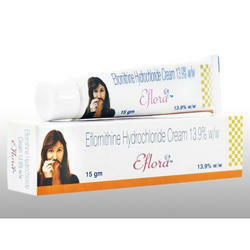 Eflora Cream (Ethornithine) Eflora cream 13.9% contains eflornithine hydrochloride, which blocks the enzyme ornithine decarboxylase needed for hair growth, and is used to reduce the rate of unwanted facial hair growth in women with hirsutism or postmenopausal facial hair growth, and in male to female transsexuals. Lumacip Plus Cream is a topical corticosteroid. It is used to treat the dryness, itching, inflammation, redness, crusting, scaling and discomfort of various skin conditions like eczema, dermatitis, allergies, and rash.